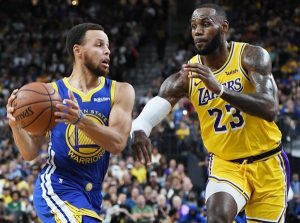 Golden State Warriors point guard Stephen Curry believes that next year Lakers star player LeBron James will be able to take his team to the playoffs. “The League is moving forward, and there are always new stars and new amazing stories. We have new contenders for victory. But LeBron had an amazing career and therefore playoffs without he’s something new. At the same time, I’m sure that next season he and his whole team will be able to reboot and reach a new level, ”Curry says ESPN. Recall, the Los Angeles Lakers lost all chances to reach the playoffs. Star team LeBron James for the first time in 14 years will miss this stage of the NBA. Lakers rank 11th in the West. Earlier it was reported that the victory in the Eastern Conference of the regular NBA championship was won by the Milwaukee Bucks team.